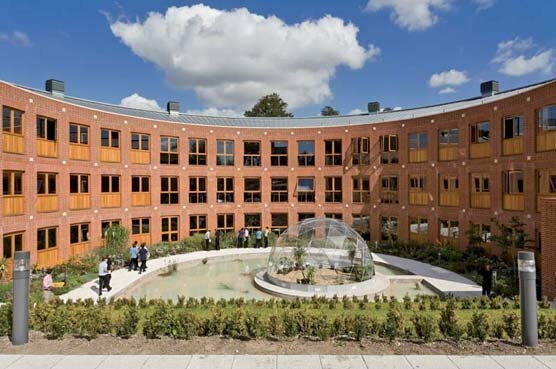 The new School for Science and Mathematics at Bryanston School in Dorset has received an award for Inspiring Design: Best Extension to a Secondary School from the British Council for School Environments. Alan Jarvis, member of the Evaluation Panel, said "There has been a perception that extending a school by adding accommodation alongside the existing buildings destroys the coherence of the learning environment and leads to operational difficulties and a poor experience for students. It was therefore very encouraging to see several very impressive schemes where these pitfalls had been successfully avoided. Bryanston School in Dorset was a very fine example."